Showers early, then clearing overnight. Low 41F. Winds SE at 5 to 10 mph. Chance of rain 40%..
Showers early, then clearing overnight. Low 41F. Winds SE at 5 to 10 mph. Chance of rain 40%. Former state Sen. Angela Giron is returning to the Boys and Girls Club of Pueblo County, the Associated Press, via the Pueblo Chieftain told us the other day. 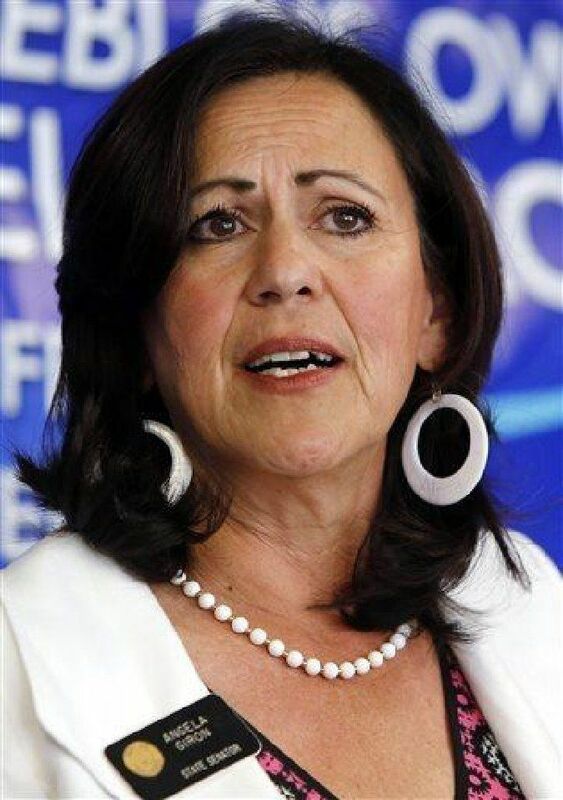 Giron's rise on the statewide political landscape started with the organization where she worked for 27 years, including as its president and chief executive, until 2007. Giron was famously recalled from office in 2013 for her support for gun-control legislation that year. She was removed from office the same night as then-Senate President John Morse of Colorado Springs. Colorado Politics caught up with Giron in November, shortly after she returned from protesting at Dakota Access Pipeline at the Standing Rock reservation. Over tea in her dining room, she hadn't yet decided for certain on a second act in politics. She is married to Pueblo City Council President Steve Nawrocki. Giron's daughter Melanie Bravo succeeded her as the head of the organization, and now Giron will replace her daughter. "It was much smaller when I started," Giron said in the AP/Chieftain article. "We had a $50,000 budget and were serving only about 200 kids, all girls, because it was only a girls club back then. "When I left in 2007, we were serving about 3,000 kids a year and had a budget of $1.5 million." Before winning a seat in the state Senate in 2010, she worked for Colorado Democratic Sens. Ken Salazar and Michael Bennet. Since leaving office, she's worked as a local organizer for the Colorado Trust, a Denver-based philanthropic organization that funds community assistance grants and programs. "My passion has always been kids, especially kids that need it the most. And we have a lot in Pueblo," she said in the article. "It's my goal to help them reach their full potential, becoming caring and responsible citizens."